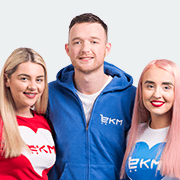 Get in touch with us if you have any questions about EKM. We'll respond promptly, but please allow for up to 24 hours. If you're an existing EKM customer please login to access the EKM support centre and submit a ticket - this is the fastest way to get help.